With cold pressed hemp seed oil, raw shea butter, conditioning rice bran oil and a subtle but masculine/unisex aroma blend that includes howood, sandalwood, bergamot, vetiver, cinnamon and amyris essential oils. 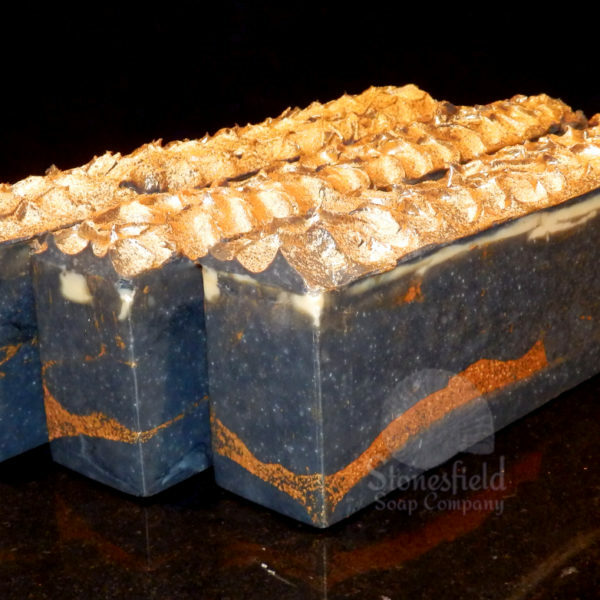 It also boasts detoxifying charcoal, creamy coconut milk and sea salt for gentle exfoliation. NB As this current batch of Anubis contains a very small percentage of fragrance oil (an error on behalf of the ingredient supplier and beyond our control) it no longer fits in with our ‘natural aromas’ policy. However, as it still meets our high standards in every other way, we have decided to offer it at a reduced price. The next batch of Anubis will, once more, only contain essential oils for its aroma. The soap bar is wrapped in a translucent vellum sleeve with a handmade paper band and tied with a fine satin ribbon. It nestles in fine ivory shredded paper in our bespoke ivory ribbon-pull matchbox-style gift box. Except for the ribbon, all packaging is recyclable. Price is for one bar, 95g approx / naked bar. Gift box packaging – 120g approx. Please note: as this is a handmade product there will be slight variations between individual bars and different batches; generally speaking, no two bars are exactly the same. The product image displayed is only an example of the design. All mineral pigments we use are laboratory-purified, nature-identical oxides, hydroxides and ultramarines. Legislation now prohibits (thankfully) the use of mined sources of these minerals as they may contain harmful contaminants such as arsenic and toxic heavy metals. The mineral pigments we use have exactly the same chemical formula as the mined version, but are 100% pure, non-irritating and thus totally safe for cosmetic use; EU labelling directives requires that each one be listed according to a specific universally acknowledged code number, the ‘ci number’. We do NOT use any synthetic colours or pigments such as F&DC lab colours. It is possible that certain dark colours (eg charcoal, Australian red reef clay) may transfer to pale materials in direct contact with the wet soap, for example, face cloths. Should this happen, rinse the item thoroughly in clean water. 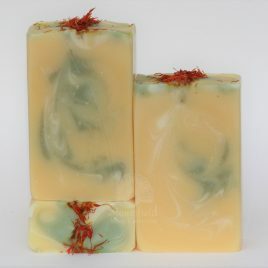 (previously called 'Carrot, Orange & Geranium') This limited edition, vegan-friendly summer soap combines the delicious aromas of sweet orange, geranium and Himalayan cedarwood essential oils with organic carrot puree, coconut milk, shea and cocoa butters, skin-loving sesame seed and rice bran oils, carrot tissue oil and chlorella. This provides the perfect care for those prone to more greasy skin as geranium and cedarwood essential oils are so balancing. There are two options for packaging. Please choose from: Basic packaging: The soap bar has a cigar band label with full ingredient details and is packed in a compostable glassine bag Gift box packaging: The soap bar is wrapped in a translucent vellum sleeve with a handmade paper band and tied with a fine satin ribbon. It nestles in fine ivory shredded paper in our bespoke ivory ribbon-pull matchbox-style gift box. Except for the ribbon, all packaging is recyclable. 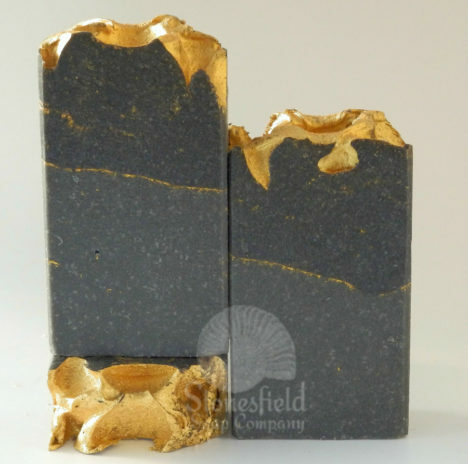 Price is for one bar, 95g approx / naked bar. Packaged product weights (NB these weights are an approximation only) Basic packaging - 95g approx Gift box packaging - 120g approx. Please note: as this is a handmade product there will be slight variations between individual bars and different batches; generally speaking, no two bars are exactly the same. The product image displayed is only an example of the design. Green Fingers has a new look! This has exfoliating crushed walnut shells to help remove that stubborn soil and plant sap from busy green fingers, with lots of conditioning raw shea butter, sesame seed oil and avocado oil to nourish those hard-working hands. 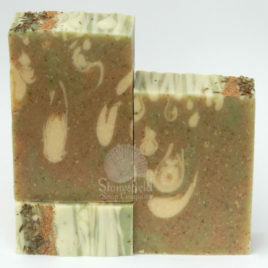 The soap is coloured with ground peppermint and parsley leaves, spirulina and green clay and boasts the soothing properties of aloe vera, oatmeal and hops. 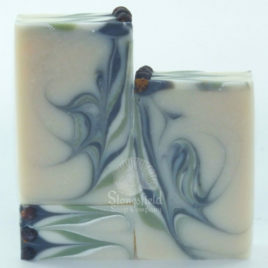 It is scented with a fresh combination of citrus and herbal essential oils with just a hint of mint. There are two options for packaging. Please choose from: Basic packaging: The soap bar has a cigar band label with full ingredient details and is packed in a compostable glassine bag Gift box packaging: The soap bar is wrapped in a translucent vellum sleeve with a handmade paper band and tied with a fine satin ribbon. It nestles in fine ivory shredded paper in our bespoke ivory ribbon-pull matchbox-style gift box. Except for the ribbon, all packaging is recyclable. Price is for one bar, 95g approx / naked bar. Packaged product weights (NB these weights are an approximation only) Basic packaging - 95g approx Gift box packaging - 120g approx. Please note: as this is a handmade product there will be slight variations between individual bars and different batches; generally speaking, no two bars are exactly the same. The product image displayed is only an example of the design. 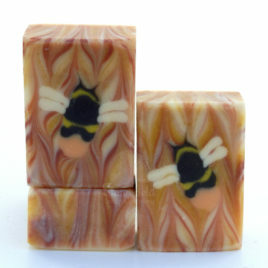 G ‘n’ T - the name speaks for itself - A refreshing vegan-friendly soap with skin-loving cocoa and shea butters, sunflower oil and skin conditioning macadamia nut oil. It is fragranced with essential oils of juniper, pine, bergamot, lime, patchouli and cypress and given a finishing touch of juniper berries. Perfect for normal to oily skins. There are two options for packaging. Please choose from: Basic packaging: The soap bar has a cigar band label with full ingredient details and is packed in a compostable glassine bag Gift box packaging: The soap bar is wrapped in a translucent vellum sleeve with a handmade paper band and tied with a fine satin ribbon. It nestles in fine ivory shredded paper in our bespoke ivory ribbon-pull matchbox-style gift box. Except for the ribbon, all packaging is recyclable.